A trapezoid is a quadrilateral geometric shape characterized as having a two parallel and two nonparallel sides. The area of a trapezoid can be calculated as the product of the height and the average of the two parallel sides, also known as bases. There are several properties of trapezoids that allow for the determination of unknown parameters based on known factors including the measure of the parallel sides, the measure of the nonparallel sides and the measure of different angles. The area of a trapezoid, in particular, can be obtained using these various properties despite only knowing the length of one base, if the length of a diagonal, height of the trapezoid and one nonparallel side is known. Identify the given length of one base, height of the trapezoid and the length of one nonparallel side. For example, assume a trapezoid is given with a height of 4 inches, one base equal to 6 inches, and a nonparallel side equal to 5 inches. Identify the length of the diagonal. A diagonal is a line that extends from one corner to the opposite corner within a trapezoid. In an isosceles trapezoid, both diagonals are of equal length. However, only one length will be needed for the area calculation. In the example, assume the trapezoid has a diagonal length of 8 inches. 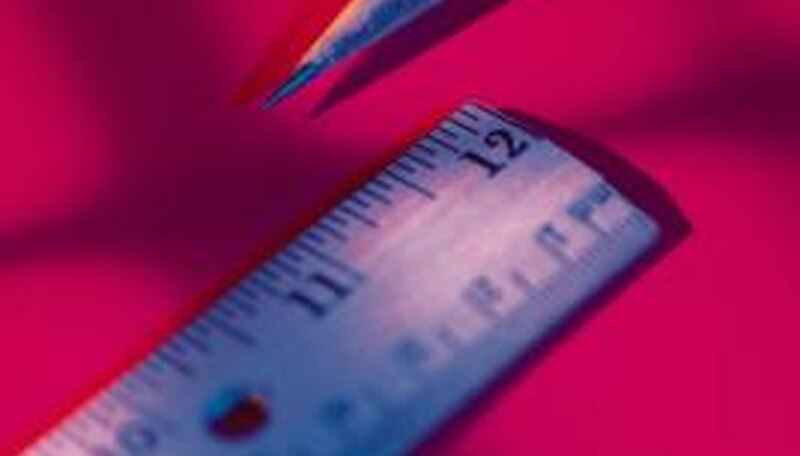 Use the Pythagorean theorem to determine the length of the unknown base. The Pythagorean theorem is used to identify the unknown sides of a right triangle and is of the general form a^2 + b^2 = c^2, where c is the hypotenuse and a and b are the two other sides. In the example, drawing the height line and the diagonal line extending from the same corner reveals two distinct right triangles. It can then be seen that the sum of the two unknown sides of these two triangles is the length of the unknown base. Therefore, using the Pythagorean theorem to find the two unknown sides and summing these values results in the length of the other base of the trapezoid. Understand that the way to do these problems is to divide the trapezoid into right triangles to determine the length of the unknown base. This type of problem can only be done if given sufficient information about the trapezoid. 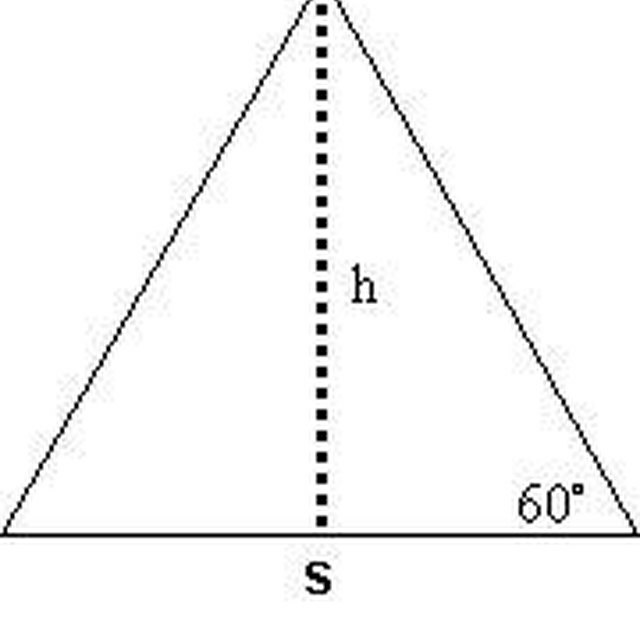 Trigonometric functions such as sine, cosine and tangent may be used for finding unknown sides of right triangles as well if the measure of the angles of the trapezoid are known. Perdue, Matthew. "How to Find the Area of a Trapezoid Without the Length of One of the Parallel Sides." Sciencing, https://sciencing.com/area-length-one-parallel-sides-8663132.html. 25 April 2017.